One of the growing trends in remodeling is that of the Man Cave or the She Shed. 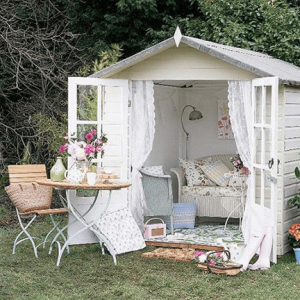 What is a Man Cave or She Shed? It is simply a place created to enjoy your hobby, favorite game, entertain or exercise. Though we describe them here by gender, these special places may have no evident gender in their styling. You can join the trend today by contacting the Remodeling Pro. For over a generation the Remodeling Pro has been designing spaces in a “MADE TO ORDER” way. We listen to what the customers want develop a plan with them and schedule the project. We built movie rooms, billiard rooms, crafting rooms, libraries, work out rooms with steam baths and much more. Call us today and we will set up a no-hassle consultative appointment for you with one of our project leads. As you develop your ideas for a special space (man cave, shed shed) remember this simple list of questions to ask yourself and answer. What is the purpose of my project? How much of the project will I hire done? And how much will I do? Do I have a focal point like a pool table, bar, workout machine? When do I want the room complete? And are there any coupons out there that will help me accomplish my building project at a discount?